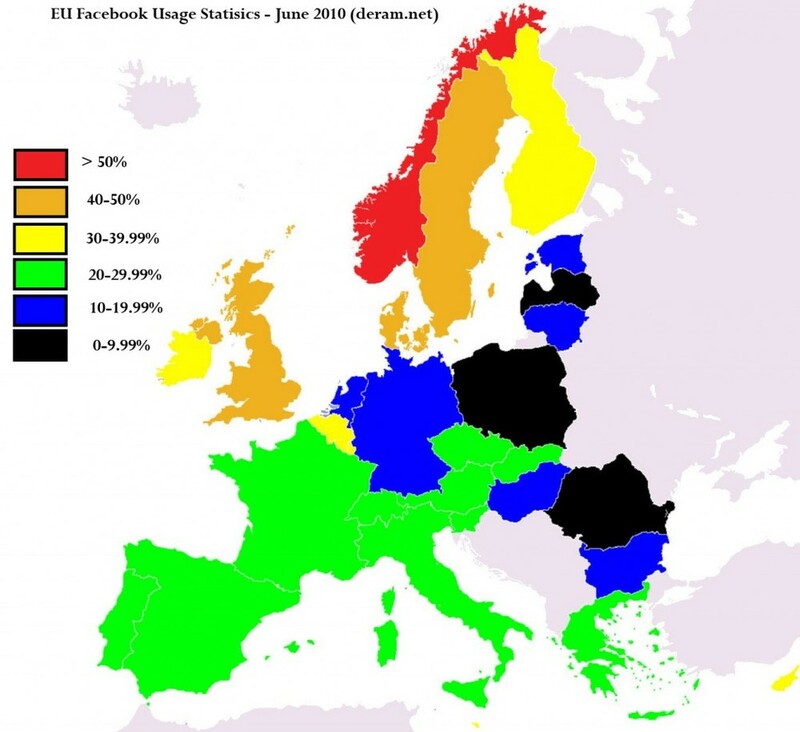 A belated thank you post to Mathieu for making this map of Facebook’s colonization of Europe using Facebook’s own data in their advertising section. It presents the percentage of the population of each country that uses Facebook. I wonder if they count active users or all people that have subscribed.